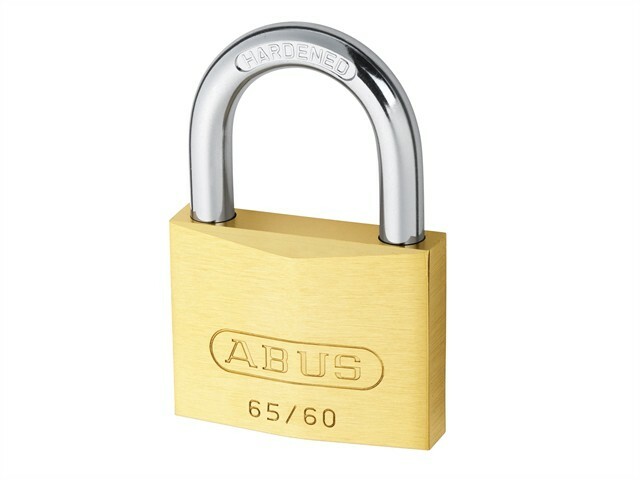 The ABUS 65 Series Brass Padlocks have a solid brass body and a hardened steel shackle with NANO PROTECT™ coating. The inner components are made from non-corrosive materials. The precision pin cylinder has mushroom counter pins with the paracentric key-way offering greater protection against manipulation. Automatic locking mechanism. Sizes 20-25mm are ideal for securing valuables / goods of lesser value or at a low risk of theft. Such as bags, suitcases, jewellery boxes, cash boxes, etc. Sizes 30-60mm are ideal for securing valuables / goods of medium value or at an average risk of theft. Such as chains, doors, gates, cupboards, lockers, toolboxes, cellar windows, sheds, switchboards, etc.